for $330,000 with 2 bedrooms and 2 full baths, 1 half bath. This 1,625 square foot townhouse was built in 2005 on a lot size of 0.05 Acre(s). One or more photo(s) has been virtually staged. This Classic Winter Park Townhome offers the Total FL Lifestyle of Convenience and Comfort in one of the areas HOTTEST locations. EXPECT TO BE IMPRESSED with this 2 Bed, 2.5 Bath Home situated on a quiet, Tree-Lined street. The chef inspired kitchen offers SS appliances, Granite counters, Wood cabinetry, & a breakfast bar/Island perfect for coffee or a quick meal, all open to the Family Room, and 1/2 bath and French doors that lead to a very Private Courtyard/Patio perfect for relaxation or entertaining Family & Friends. Rounding out the first floor is a Spacious Living Room with a gas Fireplace and Dining Room all with Gleaming Wood Floors. Upstairs the freshly painted Master Bed Retreat offers a walk-in closet & private bath complete with Soaking Tub/Shower and water closet. The 2nd Bedroom is spacious and also offers a Private bath and walk-in closet. This Home features New Lennox Brand AC (2017), Crown Molding, Plantation Shutters, plenty of storage/closet space, Inside Laundry Room w/ sink, and an attached 2 car garage. 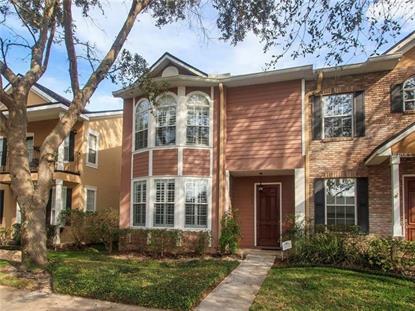 DON'T MISS this OPPORTUNITY to live in one of Winter Park's 'HIDDEN-GEMÃ¢‚¬ neighborhoods. Situated near Winter Park's Restaurant and Shopping corridor and Close to Park Ave., Downtown Orlando, Florida Hospital, Mills Park with easy access to major Highways and Sunrail. Call TODAY to schedule your Private Showing!